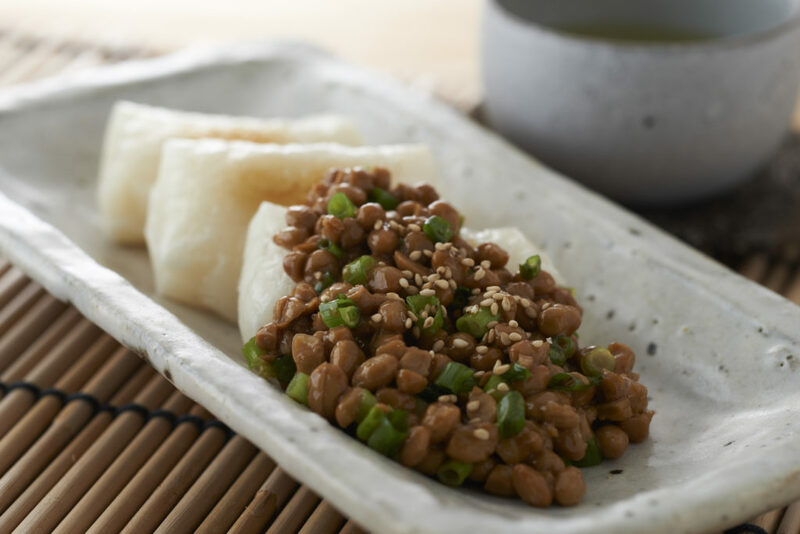 Love it or hate it, natto (納豆) is fermented soybeans that are an iconic Japanese breakfast food. Often topped with things like soy sauce, karashi mustard and chopped scallions, natto has a…hmm, how shall we say this – challenging texture. You see, while many people absolutely love it (us included), natto has a texture that could be described as slimy and sticky. On its own, natto is slightly pungent, nutty and almost sweet. However, much of what people taste when eating natto comes from the added flavoring agents used. We’d say this natto mochi recipe is savory and umami from the soy sauce – with a slight tang from the mustard, and a pop of garden freshness from the chopped green onion. IS NATTO GOOD FOR YOU? Whether you see natto as an acquired taste – or a delicious breakfast staple – there’s no denying that natto is good for you. In fact, we’d classify it as a superfood. Packed with protein, magnesium, iron and vitamin B6, natto is a great source of some of the things our bodies need to operate at peak performance. And since natto is a fermented food, it is loaded with probiotics that promote gut-health. Mochi (もち) is a Japanese rice cake made of glutinous rice. Also known as sweet rice or mochigome, the grains are soaked, cooked and pounded into a stretchy paste. The combination of flavors and textures in this yummy mochi with natto recipe may just be the most Japanese food pairing ever (when it comes to the traditional foods). Check out this post on how to make mochi here. 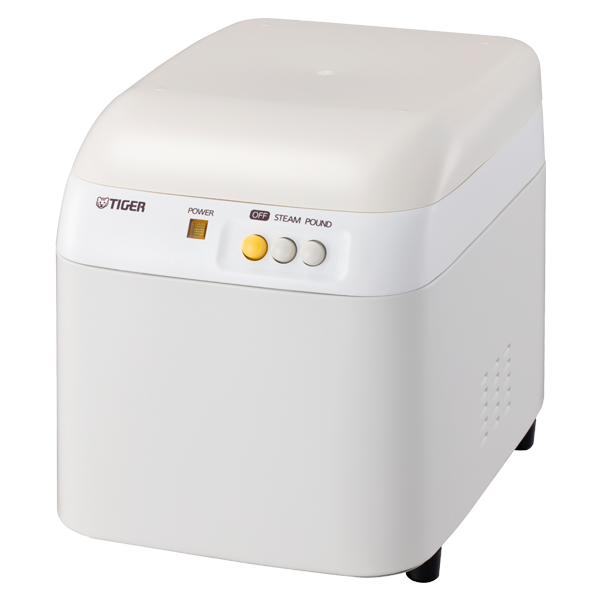 Bonus, when using your Tiger mochi maker, this natto mochi recipe will be suuuper easy to prepare at home! Mochi made from Tiger’s SMJ-B18U. Even though natto may be considered an acquired taste, we think you’re going to love this vegan recipe! Packed with a deep, savory punch of flavor – and a chewy, stretchy texture – this natto mochi recipe is one of those Japanese dishes everyone should try at least once!